Sponsor pujas, practices, and prayers to pacify the elements and protect those harmed by disasters. The whole thing, so many practices, all come down to live the daily life with bodhicitta motivation to put all the effort in that whatever you do. This way your life doesn't get wasted and it becomes full of joy and happiness, with no regrets later, especially when you die and you can die with a smile outside and a smile in the heart. A collection of short video clips, miscellaneous teachings and recordings from on the road with Rinpoche as he travels and engages in meritorious activities throughout the world. 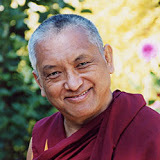 Lama Zopa Rinpoche is a Tibetan Buddhist scholar and meditator who for 30 years has overseen the spiritual activities of the worldwide network of 160-plus centers, projects and social services that form the Foundation for the Preservation of the Mahayana Tradition (FPMT) which he founded with Lama Thubten Yeshe. 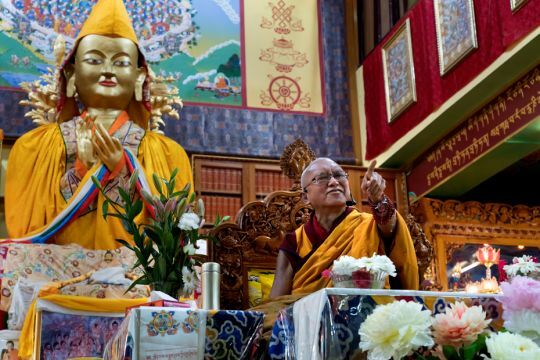 Read more about Lama Zopa Rinpoche including: updates on his health, news blog, photos, videos, schedule, advice and how to contact. Education is the very heart of FPMT. Through comprehensive study programs, practice materials, training programs, and scholarships, FPMT nourishes the development of compassion, wisdom, kindness, and true happiness in individuals. With over 50 modules available in English, Spanish and French, and more than 10,000 registered users, the FPMT Online Learning Center provides an enormous opportunity to learn. Students can engage in the comprehensive programs developed by FPMT Education Services without leaving home. 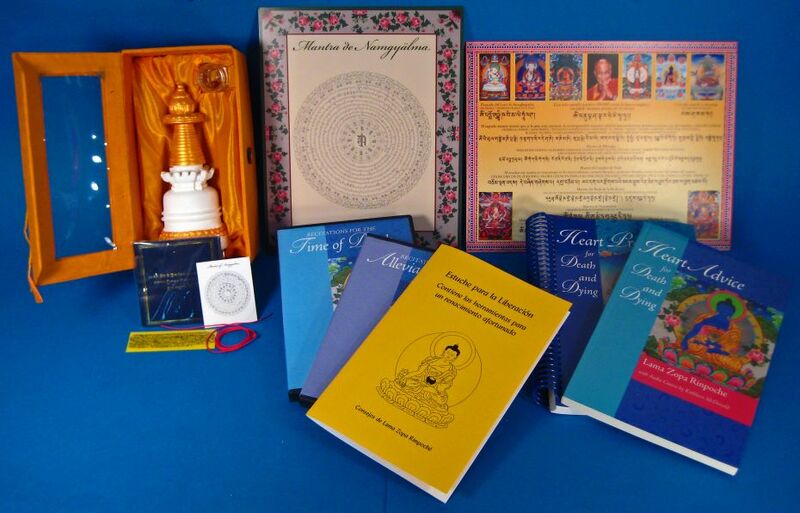 The Foundation Store provides a vast selection of Buddhist Study materials including Prayers & Practices, Home Study & Online Programs, and Dharma study Materials for Children. Visit Meditation Supplies for a variety of Malas, Incense, Ritual Items, Accessories, and much more. 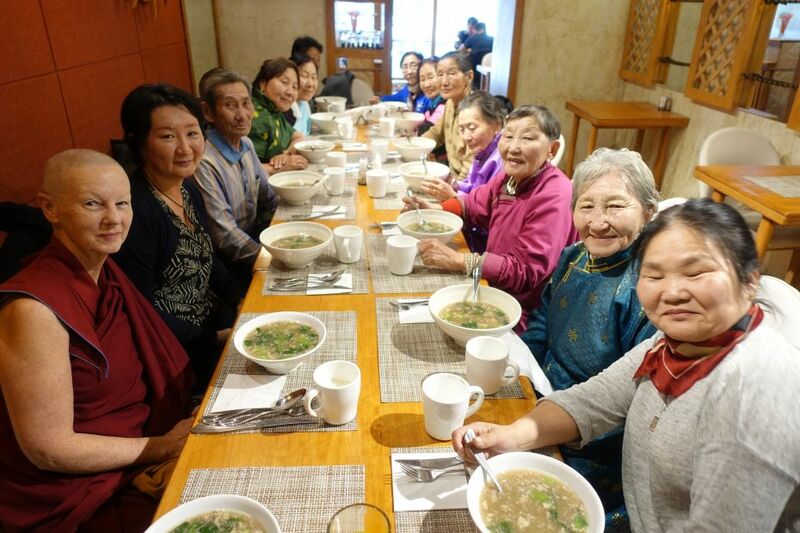 What is the Foundation for the Preservation of the Mahayana Tradition? 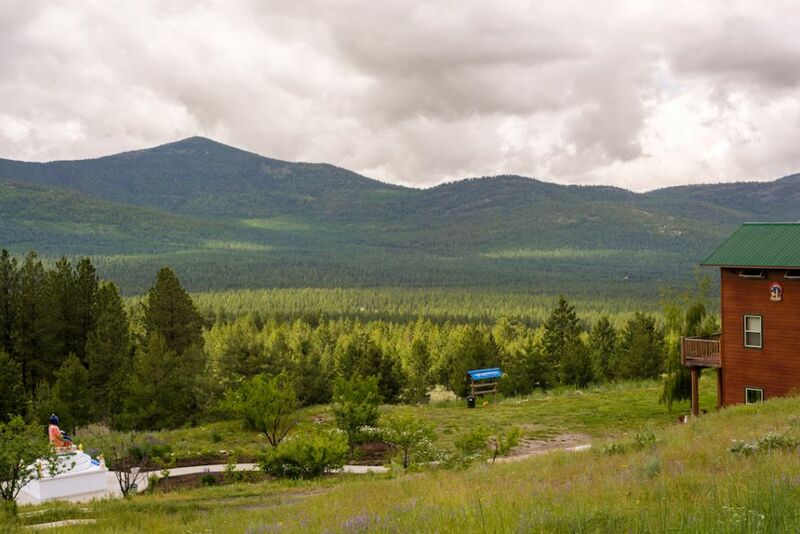 The FPMT is an organization devoted to preserving and spreading Mahayana Buddhism worldwide by creating opportunities to listen, reflect, meditate, practice and actualize the unmistaken teachings of the Buddha and based on that experience spreading the Dharma to sentient beings. We provide integrated education through which people’s minds and hearts can be transformed into their highest potential for the benefit of others, inspired by an attitude of universal responsibility and service. We are committed to creating harmonious environments and helping all beings develop their full potential of infinite wisdom and compassion. Our organization is based on the Buddhist tradition of Lama Tsongkhapa of Tibet as taught to us by our founders Lama Thubten Yeshe and Lama Thubten Zopa Rinpoche. Die Stiftung zur Erhaltung der Mahayana Tradition (FPMT) ist eine Organisation, die sich weltweit für die Erhaltung und Verbreitung des Mahayana-Buddhismus einsetzt, indem sie Möglichkeiten schafft, den makellosen Lehren des Buddha zuzuhören, über sie zur reflektieren und zu meditieren und auf der Grundlage dieser Erfahrung das Dharma unter den Lebewesen zu verbreiten. Wir bieten integrierte Schulungswege an, durch denen der Geist und das Herz der Menschen in ihr höchstes Potential verwandelt werden zum Wohl der anderen – inspiriert durch eine Haltung der universellen Verantwortung und dem Wunsch zu dienen. Wir haben uns verpflichtet, harmonische Umgebungen zu schaffen und allen Wesen zu helfen, ihr volles Potenzial unendlicher Weisheit und grenzenlosen Mitgefühls zu verwirklichen. Unsere Organisation basiert auf der buddhistischen Tradition von Lama Tsongkhapa von Tibet, so wie sie uns von unseren Gründern Lama Thubten Yeshe und Lama Thubten Zopa Rinpoche gelehrt wird. La Fundación para la preservación de la tradición Mahayana (FPMT) es una organización que se dedica a preservar y difundir el budismo Mahayana en todo el mundo, creando oportunidades para escuchar, reflexionar, meditar, practicar y actualizar las enseñanzas inconfundibles de Buda y en base a esa experiencia difundir el Dharma a los seres. Proporcionamos una educación integrada a través de la cual las mentes y los corazones de las personas se pueden transformar en su mayor potencial para el beneficio de los demás, inspirados por una actitud de responsabilidad y servicio universales. Estamos comprometidos a crear ambientes armoniosos y ayudar a todos los seres a desarrollar todo su potencial de infinita sabiduría y compasión. Nuestra organización se basa en la tradición budista de Lama Tsongkhapa del Tíbet como nos lo enseñaron nuestros fundadores Lama Thubten Yeshe y Lama Zopa Rinpoche. A continuación puede ver una lista de los centros y sus páginas web en su lengua preferida. L’organisation de la FPMT a pour vocation la préservation et la diffusion du bouddhisme du mahayana dans le monde entier. Elle offre l’opportunité d’écouter, de réfléchir, de méditer, de pratiquer et de réaliser les enseignements excellents du Bouddha, pour ensuite transmettre le Dharma à tous les êtres. Nous proposons une formation intégrée grâce à laquelle le cœur et l’esprit de chacun peuvent accomplir leur potentiel le plus élevé pour le bien d’autrui, inspirés par le sens du service et une responsabilité universelle. Nous nous engageons à créer un environnement harmonieux et à aider tous les êtres à épanouir leur potentiel illimité de compassion et de sagesse. Notre organisation s’appuie sur la tradition guéloukpa de Lama Tsongkhapa du Tibet, telle qu’elle a été enseignée par nos fondateurs Lama Thoubtèn Yéshé et Lama Zopa Rinpoché. Visitez le site de notre Service de traduction pour les traductions, conseils et nouvelles du Bureau international en français. L’FPMT è un organizzazione il cui scopo è preservare e diffondere il Buddhismo Mahayana nel mondo, creando occasioni di ascolto, riflessione, meditazione e pratica dei perfetti insegnamenti del Buddha, al fine di attualizzare e diffondere il Dharma fra tutti gli esseri senzienti. Offriamo un’educazione integrata, che può trasformare la mente e i cuori delle persone nel loro massimo potenziale, per il beneficio di tutti gli esseri, ispirati da un’attitudine di responsabilità universale e di servizio. Il nostro obiettivo è quello di creare contesti armoniosi e aiutare tutti gli esseri a sviluppare in modo completo le proprie potenzialità di infinita saggezza e compassione. La nostra organizzazione si basa sulla tradizione buddhista di Lama Tsongkhapa del Tibet, così come ci è stata insegnata dai nostri fondatori Lama Thubten Yeshe e Lama Zopa Rinpoche. Di seguito potete trovare un elenco dei centri e dei loro siti nella lingua da voi prescelta.